Dish up a mouth-wateringly succulent roast turkey this Christmas and keep all the family happy. Smother the turkey in the butter. Cut the lemon in half and squeeze the juice all over the bird. Remove any giblets and place the fresh rosemary, thyme and lemon skins inside the cavity of the turkey. Finally, season with sea salt and a little ground black pepper to taste. Prepare the barbecue for an indirect heat of approximately 200°C. 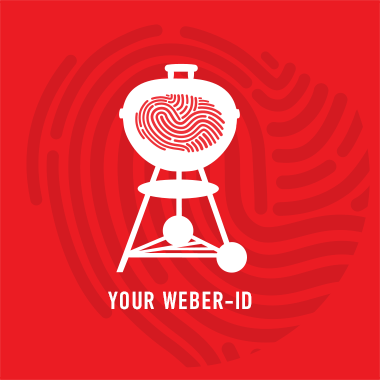 If you are roasting on a charcoal kettle barbecue, place a Weber Drip Pan on the charcoal grate in between the coals. This will collect the juices and you can also use it to roast your potatoes and vegetables in. Replace the cooking grates and position the turkey directly over the drip pan. If you are cooking on a gas barbecue, you may want to roast the turkey on a large Weber Original Roast Holder. You should position this inside the drip pan, so it can capture all the meat juices. Roast the turkey for 3-3 1/2 hours or until the internal temperature of the meat has reached 75°C.